Completed a bachelor degree in Soil Science from the Faculty of Agriculture, Universitas Negeri Jember. Actively involved in the ‘Tobacco Growers Community Development’ since 1990, including for Philip Morris Inc. the producers of the Marlboro ciggarette brand. 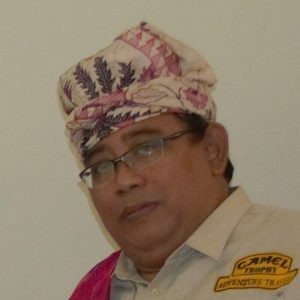 Since 2004 he was actively involved as an auditor for the CAFE Practice Program in Indonesia and Papua New Guinea, as well as playing the role of Agriculture Marketing Specialist at an international NGO-led program named Rural Agro-enterprise Development (RaeD). Also received national and international level training for Sustainable Organic, SCS-Starbucks CAFE Practice, Rainforest Alliance for Sustainable Agriculture, Forest Management and Chain of Custody, DOEN’s Roundtable of Sustainable Palm Oil and International Sustainability and Carbon Certification (ISCC) from Winrock International’s program. Has been involved in several research projects including “Socio-economic study on oil palm plantations in West Pasaman and Sanggau”, Social Impact Assessment and High Conservation Value Assessment for several oil palm plantation companies in Indonesia. Obtained RSPO accreditation as Discipline Specialist for HCV identification for oil palm plantations in 2010. His role in the social impact assessment team is focused on socio-ecology capital and sustainable livelihood.